Great Nature Walk at DeKorte This Morning! The weather continues to cooperate with our nature walks! 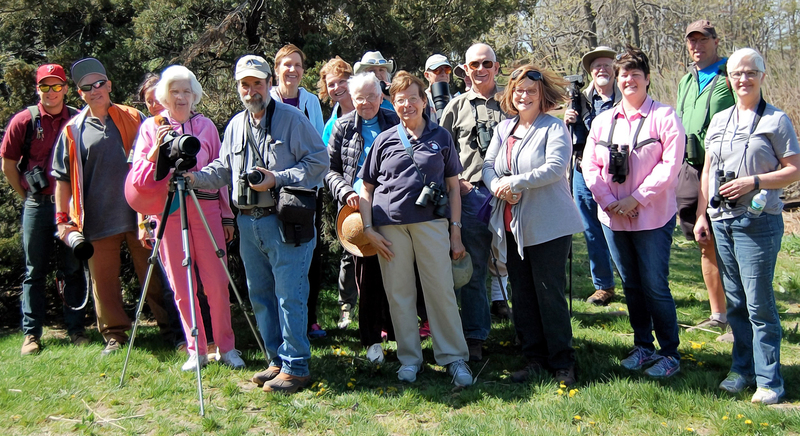 This morning’s group, led by the Bergen County Audubon Society, traversed DeKorte Park. Among the many species seen were Osprey , White Crowned sparrow, Yellow-rumped warblers, Gadwall and Northern Shoveler Ducks. If you missed out, fear not: Join us this Friday, April 22, back at DeKorte for our Earth Day Celebration: Return of the Raptors! The program runs from 1:30 to 3:30 pm and begins at the Environment Center with a talk on how and why Eagles, Osprey and Peregrine Falcons have returned to our area, plus why you might see them in your backyard. Then we’ll head out to DeKorte Park to look for these and other winged marvels. To register for the free Earth Day Celebration, click here. Information: greatauk4@gmail.com or 201-230-4983.